Seashore Paspalum is native to tropical and subtropical regions of North and South America. Seashore paspalum grows naturally in coastal environments and is often found in brackish marsh water or in close proximity to ocean waters. It also grows in areas that receive extended periods of heavy rains and low light intensity. Its best growth occurs in response to warm temperatures and long daylengths. Seashore paspalum is a warm season perennial grass that spreads by rhizomes and stolons. 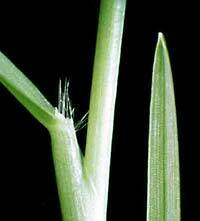 The stolons and leaves of seashore paspalum are slightly coarser than those of common bermudagrass. However, when mowed regularly at heights of 1" or less, the grass produces a dense turf. 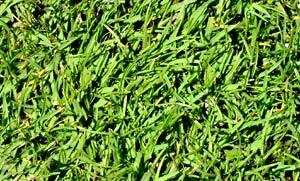 Adalayd has a blue-green color and texture similar to that of Kentucky bluegrass. Seashore paspalum must be established using either sod or sprigs. Fertilizer requirements of seashore paspalum are less than bermudagrass. Scalping is a problem following summer applications of nitrogen. Most of the nitrogen fertilizer should be applied in the spring and fall with emphasis on fall fertilization. Few insect and disease problems in most environments although it is subject to occasional problems from mole crickets, sod webworms, spittlebugs, white grubs, billbugs, cutworms, and fall army worms.